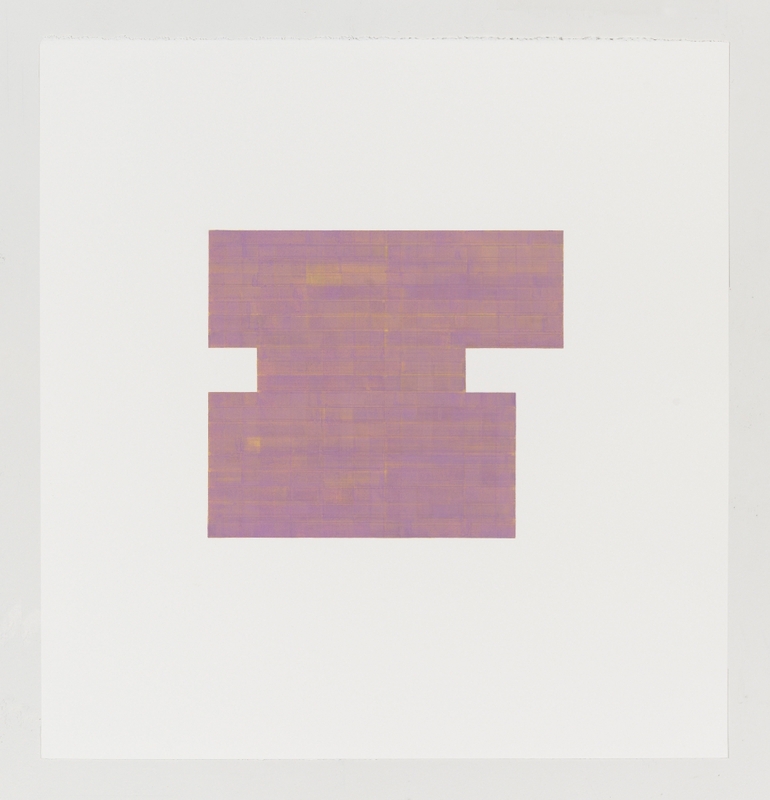 Julia Fish, Study for Threshold – Plan, NorthWest [ violet with yellow ] #2, 2017, Gouache on paper, 23 x 22 inches, paper. Rhona Hoffman Gallery is pleased to present Threshold II, the gallery’s third solo exhibition with Chicago-based artist Julia Fish. A deep interest in modernist form and color inspires Julia Fish’s attentive mapping and observation of her immediate environment. 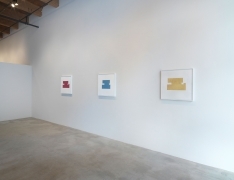 Since moving into her two-story brick home and studio in 1992, she has focused almost exclusively on the architectural details, spaces, and surfaces of her house as source imagery for luminous, poetic works on paper and paintings. 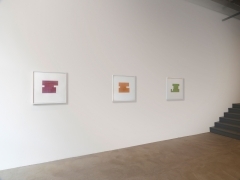 In a series begun in 2009 and titled Threshold, the artist examines the six liminal spaces between two rooms. The distilled form of each meeting point is assigned a primary or secondary color based upon the threshold’s orientation to light within the home. First exhibited in the 2010 Whitney Biennial, Threshold’s codex of six forms and colors has continued to inspire, develop, and be re-invented as its own language. 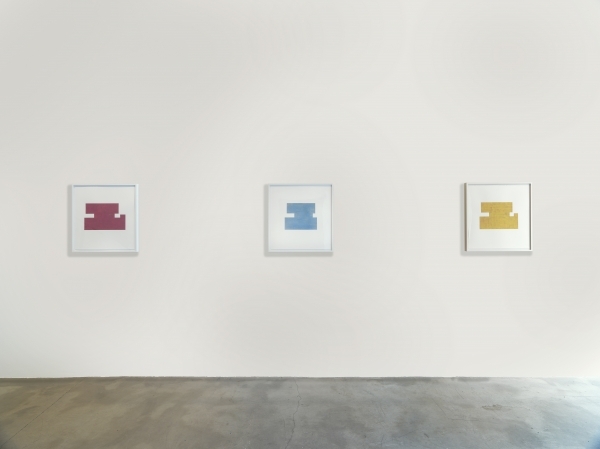 Six new gouache-on-paper paintings extract the essential structure of each Threshold as a solid shape, a new approach to this body of work generated from the artist’s earlier Living Rooms series (2001-2005). Beautifully layered gouache in each form’s color creates a thick, soft surface, which is embedded with its complimentary color in an oscillating pattern of horizontal and vertical brushstrokes. Light’s central role in her practice is referenced directly in this exhibition through Lumine IV : asunder [ twilight ], a new oil painting that re-organizes the hexagonal structure of a lighting fixture in the artist’s sleeping room. Threshold – Matrix : Equinox, a large lyrical oil on canvas painting, interweaves the outlines of all six thresholds like a musical score, broken into staccato rhythms of each distinct shape. Expanding on earlier works on light and dark ground, the artist combined both approaches by dividing her canvas into light and dark, a subtle allusion to today’s uncertain times. For Julia Fish, the domestic unlocks the universal. Like artists such as Vija Celmins, Sylvia Plimack Mangold, and Gerhard Richter, her attentive depiction and careful distillation serves as a conceptual investigation of the nature of perception and art itself. Julia Fish completed studies for the BFA degree at Pacific Northwest College of Art, and MFA degree at the Maryland Institute, College of Art, and has lived and worked in Chicago since 1985. 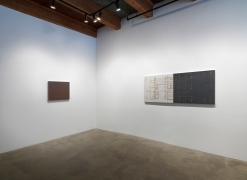 Her work has been presented in twenty-six solo exhibitions since 1980, and was the subject of a ten-year survey exhibition, View, at The Renaissance Society, University of Chicago in 1996. Paintings and works on paper are included in the permanent collections of the Art Institute of Chicago, Denver Art Museum, Museum of Contemporary Art, Chicago, Los Angeles Museum of Contemporary Art, The Museum of Modern Art, New York, Yale University Art Gallery, The Smart Museum of Art, University of Chicago, University of Michigan Museum of Art, and Illinois State Museum, Springfield. National/ international exhibitions include, among others: San Francisco Museum of Modern Art; MAK Center for Art and Architecture/Schindler House, Los Angeles; Tang Museum, Skidmore College; Martin Gropius Bau, Berlin; Galerie Remise, Bludenz, Austria; most recently : 2010, the Whitney Biennial, and Homebodies, MCA Chicago, 2013. 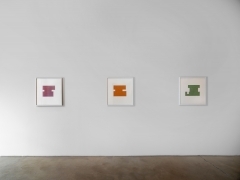 Her work is represented by Rhona Hoffman Gallery, Chicago, and David Nolan Gallery, New York. Fish’s studio work and research have been supported by grants and fellowship awards from the Louis Comfort Tiffany Foundation, National Endowment for the Arts /Painting, Richard H. Driehaus Foundation, and the Cal Arts / Alpert Ucross Residency Prize, among others. She was also the recipient of research and travel awards from the University of Illinois at Chicago where she is Professor Emerita and UIC Distinguished Professor Emerita of Art in the School of Art and Art History. Review of Threshold II at Rhona Hoffman Gallery.